This past weekend’s Art Basel festival in Miami was undoubtedly highlighted by the release of the “Basel Vice” pack, which saw two Air Jordan 1 High models adorned in soft pastel patterns. While the sneakers were the focal point of the festival, there were plenty more sights to be seen. 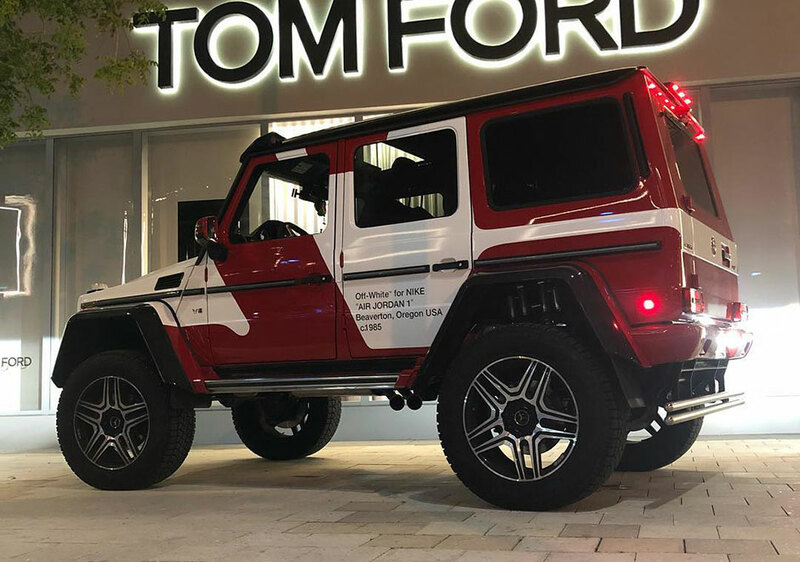 Leading the pack were these two Mercedes G-Wagon trucks dressed up as two of the most notable sneaker releases of 2017. 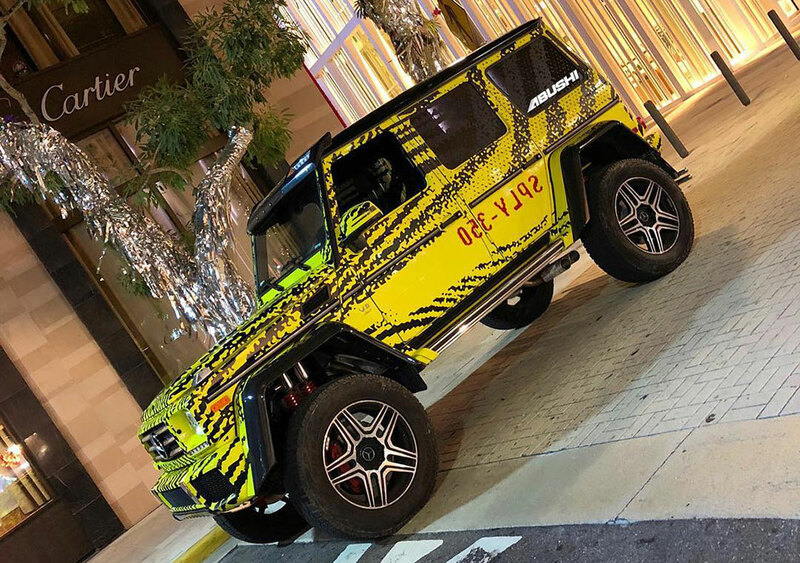 Sneaker mogul, Benjamin Kickz, showed off these trucks with one wrapped in a custom OFF WHITE x Air Jordan 1 design, and the other sporting an adidas Yeezy Boost 350 V2 “Semi Frozen Yellow” paint job. Not only did Kickz show off these cars, but he was wearing the matching pair of highly exclusive sneakers while taking photos with each. While Benjamin might have been posing with the cars, the project was a collaborative effort done by designers Abushi, and Rich B. Caliente specifically for the illustrious festival. No word has come out regarding what will happen with the cars now, but if they are sold, they will likely run the buyer a pretty penny. Which G-Wagon would you rather roll down the streets in?